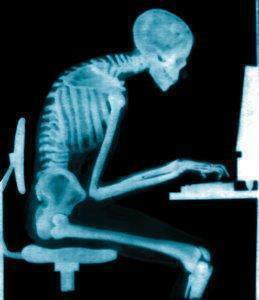 Is Poor Posture Affecting You? With the exception of acute injury or trauma the majority of discomfort that comes from chronic pain can be attributed to poor posture. Poor posture loads the body in a way that joints and muscles are not designed to cope with and over time this can lead to musculo-skeletal pain and discomfort, respiratory, organ and neural dysfunction. 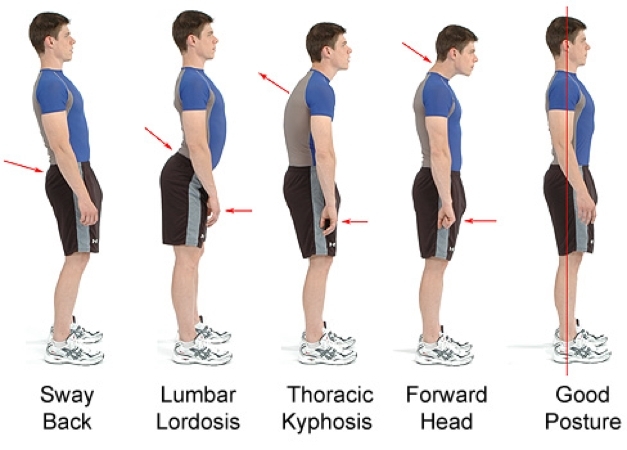 Typically speaking the majority of people I see will fit into one of the above postural positions. 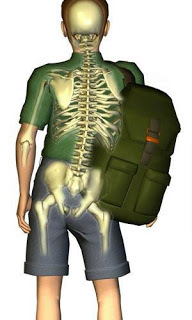 These faulty postural positions can originate from poor breathing patterns, wearing high heals, pregnancy, carrying your bag or baby on one side (as illustrated below), a poor functioning school / work station and many other tasks we complete on a daily basis. The key here is to identify the problem through a postural assessment and then find remedy through prescribing mobilizations, stretches, corrective exercise and above all – correct the movement patterns and the poor habits that created faulty posture in the first place. 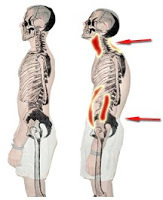 It is not just our muscles, spinal discs and joints that are affected by poor posture. Other areas affected by poor posture include, poor lymphatic drainage, poor circulation throughout your body, the pump system including the heart, diaphragm etc. The spine also houses the spinal cord, which is an intricate sensory network that runs through the vertebrae to transmit feeling and movement commands from the brain throughout the entire body. The affects of poor posture are rarley felt immediately, as chronic neck and back problems often develop over time from poor postural habits developed at school and or work. Most of us will spend a good portion of our time at work or school – make sure your work station / study is set up correctly for you. Every inch your head is forward in posture, you are adding additional weight of your head to your neck. If your head posture is 3 inches forward from the correct position you will have added 3 times the normal weight of your head, thats approximatly an additional 10 to 15 kg of load on the spinal column where the head and neck joins the back. Who do you know who has poor posture or who’s poor posture could be causing them joint problems, muscular soreness, nerve discomfort or just draining their vitality and enjoyment of life? Please feel free to forward this email to them and they can contact me on 021 330 424 or dave@mbsht.co.nz for a complementary consultation and plumb line postural assessment. Copyright © * 2014 MBS Holistic Training, All rights reserved.